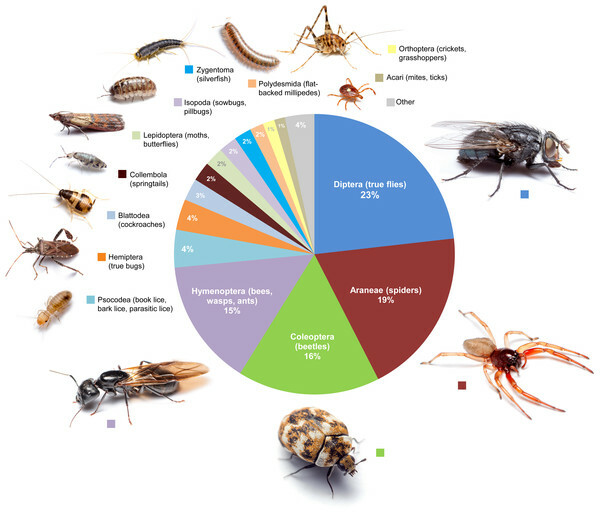 Arthropod Diversity in Urban and Suburban Homes – microBEnet: the microbiology of the Built Environment network. A paper from Bertone et al studies indoor arthropod diversity in urban and suburban homes. They surveyed all the arthropods they could find in 50 homes in North Carolina, finding 24-128 distinct arthropod families per home! These critters were filtering in from the outdoor surroundings of the home, and most of them were benign to humans. They also found that the bigger the house, the more arthropods they found. 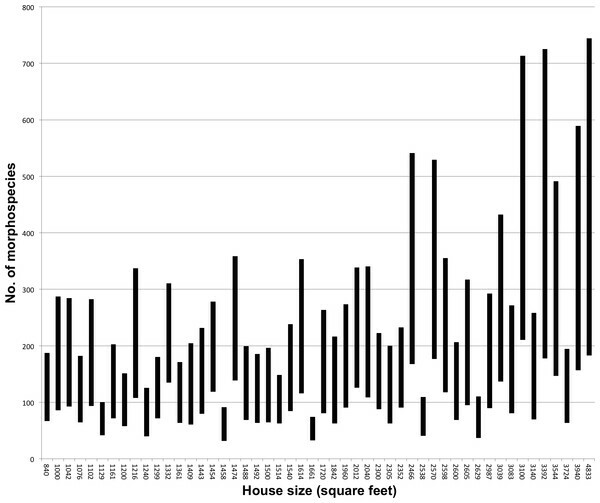 Fig 3 from Bertone et al, 2016; Number of species by house (in ascending rank order of house size). They also found a few species of pests, like various cockroaches, termites, and fleas. They also found up to about 400 dust mite specimens. Fig 5 from Bertone et al, 2016; Average morphospecies composition calculated across all room types.